Watch this clip to meet some kids who live in the Torres Strait! 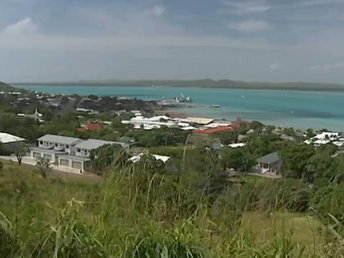 The Torres Strait is the stretch of water at the top of Queensland, between Queensland and Papua New Guinea. There are over 270 islands in the Torres Strait but only 17 have people living on them. What is the population of the islands? The Torres Strait Islanders have their own flag. What do the symbols on it represent? What do the kids in the story love about living in the Torres Strait? And what would they change? What do you love about where you live? Are there things you'd change too?